I’ve run the nutritional analysis for nearly two hundred meals and starting to notice a cluster of meals at the top of the list that consist of spinach + egg + something else yummy. 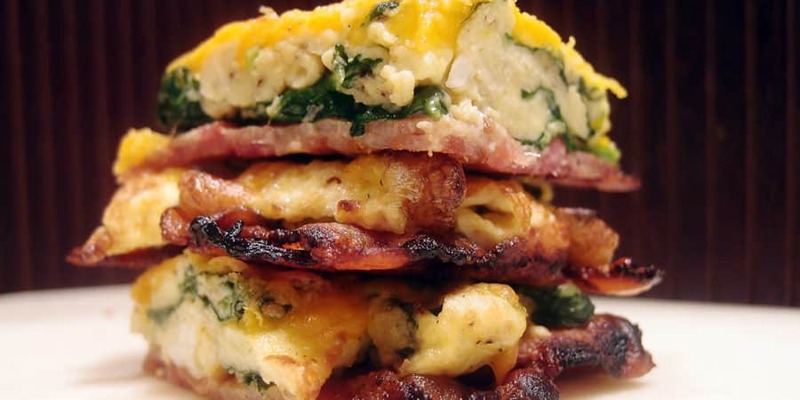 This indulgent one is the low carb breakfast stax from the ketogenic recipe site Ruled.Me. As shown below, this combination provides a great range of micronutrients and protein while staying quite low in net carbohydrates. Spinach really is a “super food” with a very rich nutrient profile and a solid array of proteins in its own right. Eggs have a fab protein score, and the egg yolks are even higher in fat and more complete in proteins than the whole egg. It’s so sad that these little gems have been demonised because of their wrongfully alleged “artery clogging saturated fat” content for so long. Egg yolks have the same nutritional balance score but an even better amino acid score than the whole egg in spite of having a lower percentage of calories from protein. They are also higher in fat which is great from a diabetes perspective. Copyright text 2018 by Optimising Nutrition.